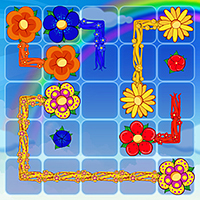 Flowers is a HTML5 Puzzle game. The aim of the game is to connect all matching flowers and cover the entire board! Drag lines to connect flowers.